Dycem "Rock Steady" - Pedal Matt. Placed underneath hi-hats, bass drum pedals or anything to prevent forward movement. Will not slip even on glass-like surfaces. Revolutionary Dycem compound has up to three times the coefficient of friction of rubber. 180mm x 350mm sheet. Made in UK. Drum Throne with double braced legs, screw height adjustment and thick padded seat. Maxtone Drum Throne with embroidered Maxtone logo. Features double braced legs, screw height adjustment and thick padded seat. Grafix Snare Drum bag - Armor Created to satisfy the expressive nature of musicians and combat the overwhelming plethora of plain bags, this new concept in "bag art" showcases original, artist-commissioned designs printed in brilliant, high definition color on a high quality Kaces gig bag. 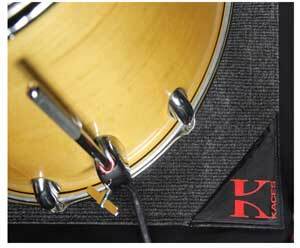 The Economy Drum Rug is designed to deliver what you want in a drum rug without the added cost. 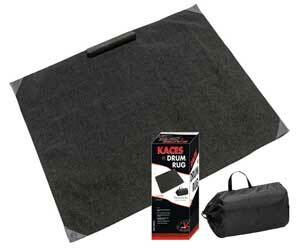 the Original Crash Pad Drum Rug with Nylon Carry Bag The Kaces Crash Pad drum rug is designed to keep your kit in place. Heavy-duty black polypropylene fabric provides sturdy anchoring for spurs and stands, and an additional wood barrier is located at the edge to help keep the bass drum firmly in place. Hardware Bags - 38" (95cm) with wheels Transport and store all your stands and hardware in this road-worthy bag that comes with or without wheels. Hardware Bags - 46" (115cm) with wheels Transport and store all your stands and hardware in this road-worthy bag that comes with or without wheels. 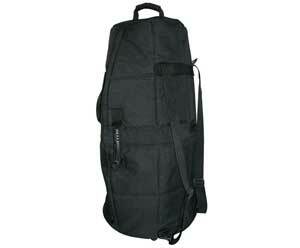 FPS Deluxe Drumstick Bag. 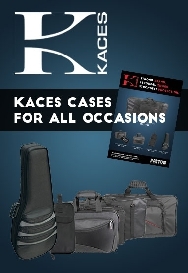 Made from water-resistant nylon material. Accommodates 12 sticks. 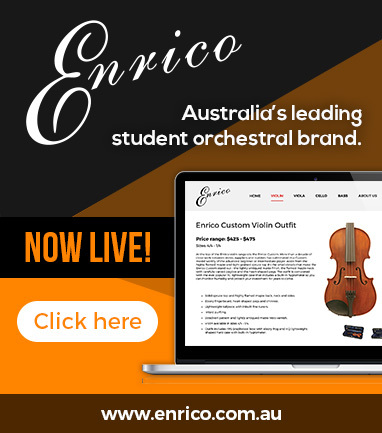 Inside features 4 pocket compartments (3 stitched compartments for 3 individual pairs of sticks plus 1 large compartment for 3 pairs of sticks or other mallets. Grafix Stick Caddy - Skull Hat Created to satisfy the expressive nature of musicians and combat the overwhelming plethora of plain bags, this new concept in "bag art" showcases original, artist-commissioned designs on a high quality Kaces gig bag. Grafix Stick Caddy - Flame Created to satisfy the expressive nature of musicians and combat the overwhelming plethora of plain bags, this new concept in "bag art" showcases original, artist-commissioned designs on a high quality Kaces gig bag. The Xpress Series cymbal bag is made from a durable 600D polyester and features an exterior zippered accessory pocket, heavy duty webbing carry handles and a removable shoulder strap. 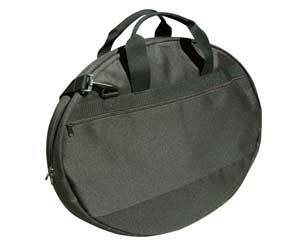 Can hold cymbals up to 20" in diameter and also makes a great padded gig bag for 18" bodhrans! Grafix Cymbal bag - Hot Rod Flame Created to satisfy the expressive nature of musicians and combat the overwhelming plethora of plain bags, this new concept in "bag art" showcases original, artist-commissioned designs printed in brilliant, high definition color on a high quality Kaces gig bag. 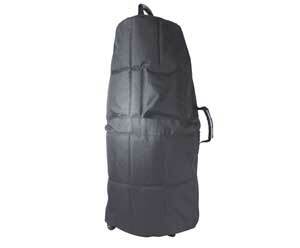 The 24" Pro cymbal bag is made from rugged, tour-tested 600D polyester and padded throughout to insure your cymbals arrive to the gig without a nick or scratch. Wedgie anti-vibe Drum shox - individual. Wedgie Anti-Vibe shox help to eliminate the high frequency vibration in the drumstick that can cause unwanted fatigue. Shox stretch to fit so you can use your favourite drumsticks and still get the benefits. MP03 - CYMBAL POLISH (raw) - 4 oz. To clean and polish raw brass cymbals. Cuts fast to remove residue and oxidation with ease. This polish has an organic Barrier Protectant ingredient to naturally seal the cymbal surface for a longer lasting shine. MP05 - DRUM SHELL POLISH CLEANER - 4 oz. All-in-one solution that cleans and removes grim, dirt, sweat, oil and other contaminates from drum shells and hardware. Made with Carnauba for superior performance. MP07 - CYMBAL CLEANER (coated) - 4 oz. Designed specifically for coated cymbals. Removes residue, dust, fingerprints and other contaminates with easy-on & off formula.